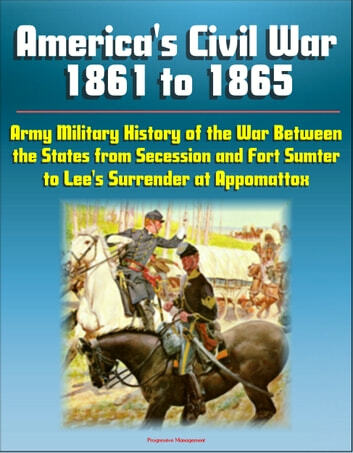 This Army history publication provides details and analysis of the Civil War from its beginnings in 1816 through its conclusion. 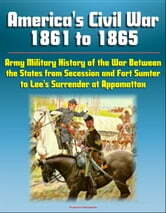 Excerpted from the CMH volume American Military History: The Office of the Chief of Military History has prepared this historical survey of the organization and accomplishments of the United States Army primarily for use in the American Military History course usually given in the sophomore year of the Reserve Officers' Training Corps program in civilian colleges and universities. Although over one hundred fifty years have passed since the start of the American Civil War, that titanic conflict continues to matter. The forces unleashed by that war were immensely destructive because of the significant issues involved: the existence of the Union, the end of slavery, and the very future of the nation. The war remains our most contentious, and our bloodiest, with over six hundred thousand killed in the course of the four-year struggle. Most civil wars do not spring up overnight, and the American Civil War was no exception. The seeds of the conflict were sown in the earliest days of the republic's founding, primarily over the existence of slavery and the slave trade. Although no conflict can begin without the conscious decisions of those engaged in the debates at that moment, in the end, there was simply no way to paper over the division of the country into two camps: one that was dominated by slavery and the other that sought first to limit its spread and then to abolish it. Our nation was indeed "half slave and half free," and that could not stand. Regardless of the factors tearing the nation asunder, the soldiers on each side of the struggle went to war for personal reasons: looking for adventure, being caught up in the passions and emotions of their peers, believing in the Union, favoring states' rights, or even justifying the simple schoolyard dynamic of being convinced that they were "worth" three of the soldiers on the other side. Nor can we overlook the factor that some went to war to prove their manhood. This has been, and continues to be, a key dynamic in understanding combat and the profession of arms. Soldiers join for many reasons but often stay in the fight because of their comrades and because they do not want to seem like cowards. Sometimes issues of national impact shrink to nothing in the intensely personal world of cannon shell and minie ball.